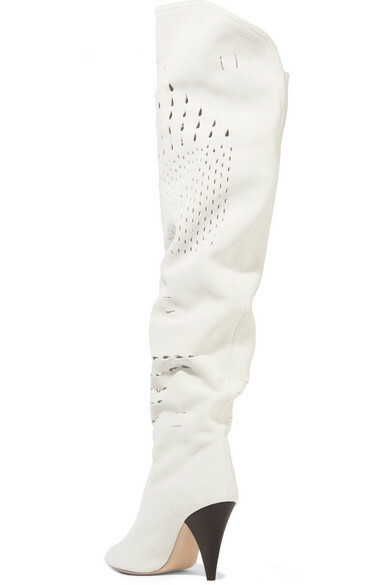 Isabel Marant's Spring '19 collection is inspired by the disco era, but she remains true to her bohemian spirit by including slouchy styles like these 'Lyde' thigh boots. 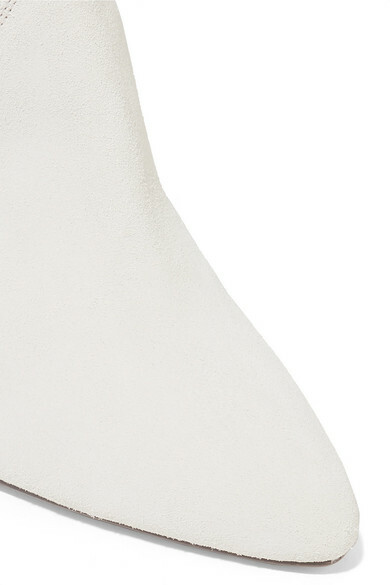 Worn by Kaia Gerber on the runway, this point-toe pair is crafted from white suede with intricate laser cutouts and set on a conical 90mm heel. Try yours with an oversized sweater tucked into shorts. Shown here with: Nanushka Dress, Chloé Ring, Sophie Buhai Cuff, Jennifer Fisher Ring, Isabel Marant Necklace, Jennifer Fisher Ring, Saint Laurent Necklace.